An Oyo State High Court sitting in Ibadan sentenced lawyer, Yewande Oyediran, to seven years imprisonment for stabbing her husband, Lowo, to death. An Oyo State High Court sitting in Ibadan on Monday sentenced a female lawyer, Yewande Oyediran, to seven years imprisonment for stabbing her husband, Lowo, to death. The News Agency of Nigeria reports that the trial judge, Munta Abimbola, said that the accused was convicted of manslaughter and not of murder. Mr. Abimbola said that while the prosecution proved that the defendant caused the death of the deceased, it failed to proof that it was done intentionally. He, however, ordered that the seven years imprisonment should commence from Feb.2, 2016 when she was arrested. The judge said that with the evidence before the court, the convict and her late husband had frequently engaged in domestic violence. He also adjudged the evidence of the couple's landlord and wife, Mr. and Mrs. Akinpelu, as credible. The landlord and his wife had told the court that they saw the convict holding a knife, while the deceased was in a pool of blood. "Having seen the defendant holding a knife and the defendant had earlier confirmed that she had earlier stabbed her husband with a pair of scissors a day before, I hold that it was the defendant that stabbed the deceased," said the judge. Mr. Abimbola also said that he took into consideration the autopsy report of Abideen Oluwashola, a consultant from the University College Hospital (UCH), Ibadan. "According to the autopsy report, the deceased died as a result of shock from a deep wound caused by a sharp object," Mr. Abimbola said. The court said that the evidence of the convict could not be relied upon, because her statement with the police was different from her statement before the court. Earlier, Leye Adepoju, the defence counsel, had on the basis that his client was a first time offender, prayed the court to be lenient with the term of the sentence. He added that imprisonment was not to ruin, but to reform. "If it is too long, it would ruin the life and as well jeopardise the job of the defendant, being a legal practitioner," he said. The prosecution counsel, Sanya Akinyele, however, said he was leaving the issue of the sentencing to the discretion of the court. 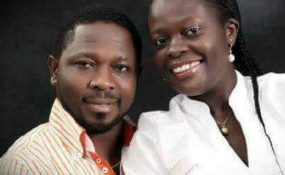 Ms. Oyediran, a staff of the Directorate of Public Prosecution (DPP) in the Oyo State Ministry of Justice, stabbed her husband to death on February 2, 2016, at Akobo area of Ibadan. The convict stood trial on a lone charge of murder contrary to Section 316 and punishable under Section 319 of the Criminal Code of Oyo State 2,000. She, however, pleaded not guilty to the charge. Copyright © 2017 Premium Times. All rights reserved. Distributed by AllAfrica Global Media (allAfrica.com). To contact the copyright holder directly for corrections — or for permission to republish or make other authorized use of this material, click here.